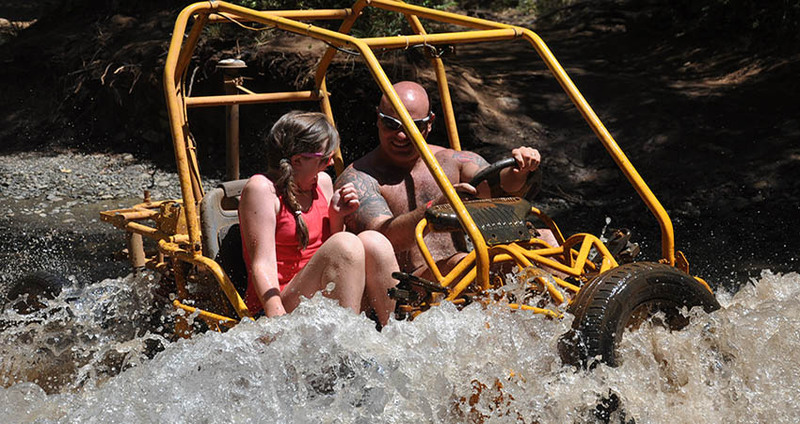 Our Turunc Buggy Safari tour is an experience so amazing you will never forget it. 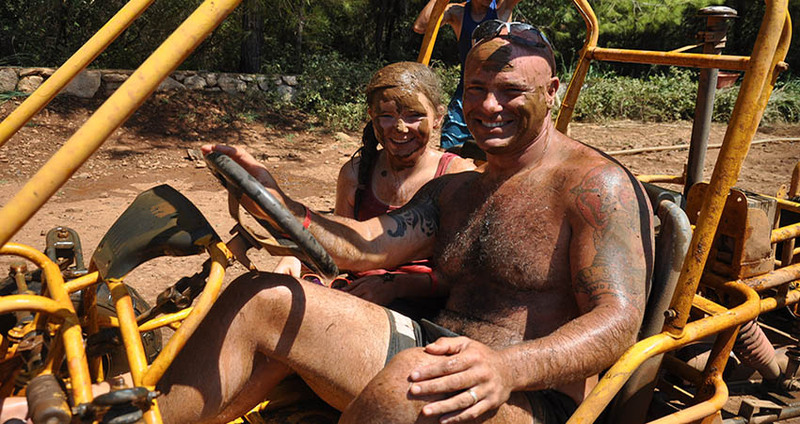 It is an extremely exciting adventure that consists of driving buggies through bumpy and muddy tracks in the forests and rural terrains around Turunc. It is specially arranged for adrenalin junkies and outdoorsy activities fans. The tour begins with a complementary transfer from your hotel in Turunc, to the spot where our thrilling buggy safari escapade starts in Marmaris. 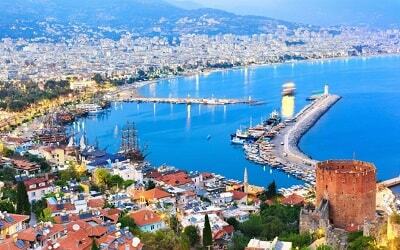 You will be transferred to Marmaris in comfortable vehicles that will take you twenty kilometers away from the busy city center to the captivating swamp terrain fringed with woods. It will take you a short while to get to our starting point. We will begin our tour at the gorgeous forest of pine trees, so you can feast your eyes on the mesmerizing nature around you, as our drivers tell you the basic instructions about buggies. 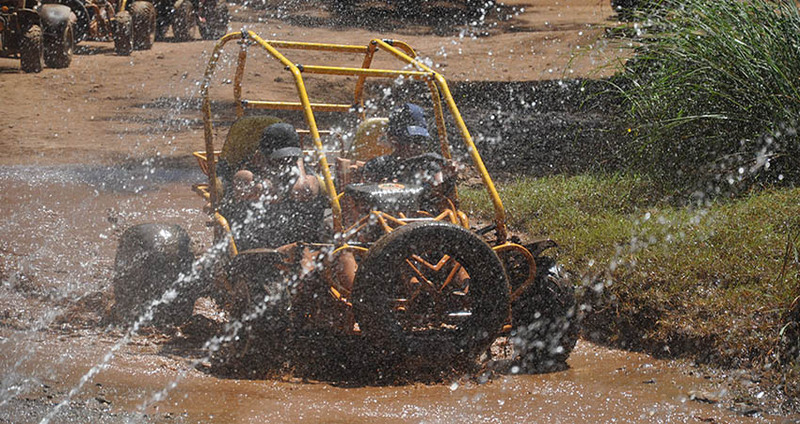 Turunc Buggy Safari Tour lasts for approximately four hours (total driving time in this tour is 1 hour). 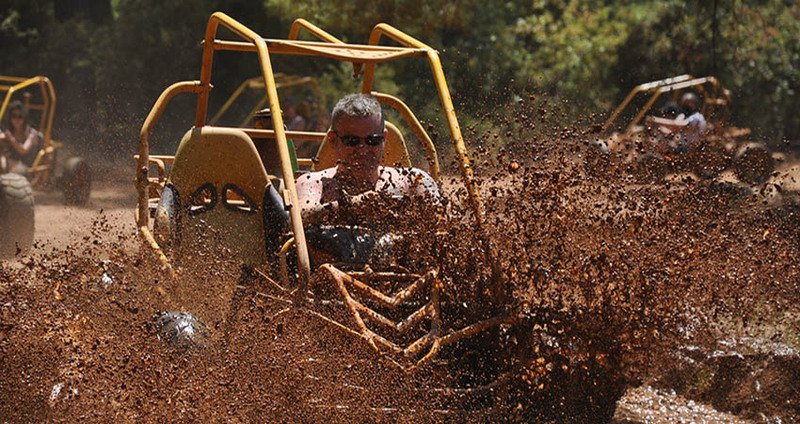 During this 1 hour you will get to experience some terrific adrenalin boost and have fun like you’re a little kid again. Our professional and skillful buggy drivers will be there for you during the whole trip, because your safety and security is our outmost concern. 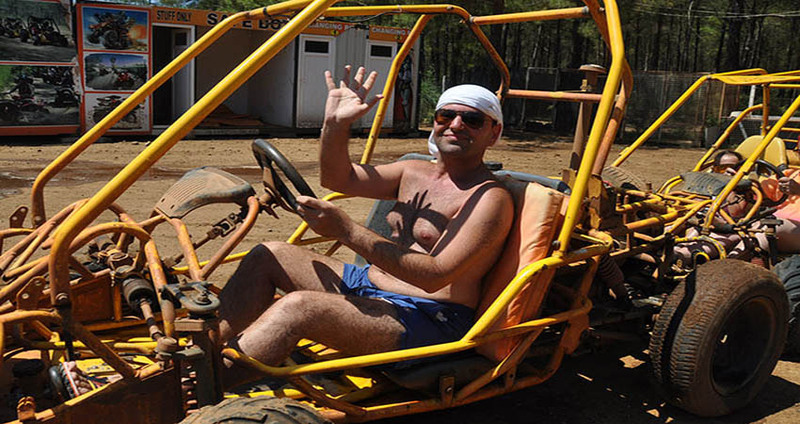 We want you to be aware that you’re in the skilled hands of the best and most experienced buggy drivers in Turkey. 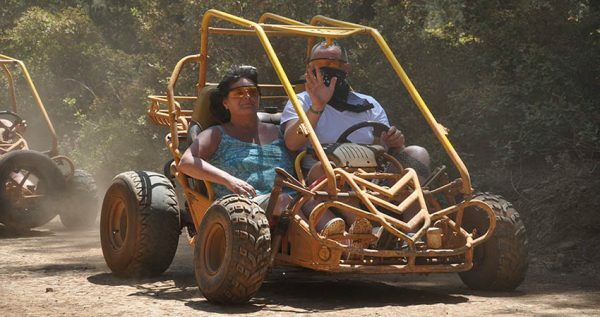 Our English speaking guides and drivers will take care of every question and concern you might have, so you don’t have to worry about any unpleasant surprises during our Turunc Buggy Safari tour. Before the tour starts, you will get all the necessary instructions about Buggy Safari. 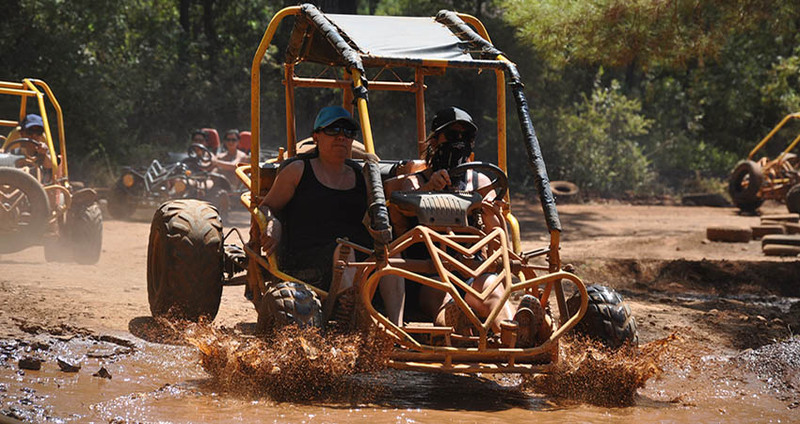 This amazing tour takes place in the secluded woods around Marmaris so you won’t need any licenses or permissions for driving quads. There are also organized photographers who will take photos of you and your friends during our great tour, so you don’t have to worry about bringing your camera either. Once the tour is over you will be able to buy your photos, as well as souvenirs to remember this tour by. 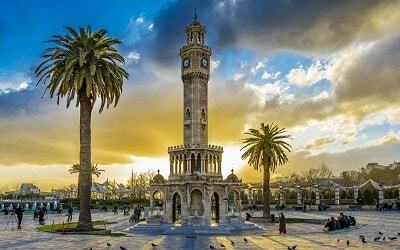 Once our adventure ends, we will head back to Marmaris. 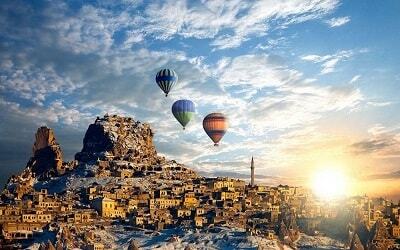 Don’t miss this marvelous chance to have an adventure of a lifetime. 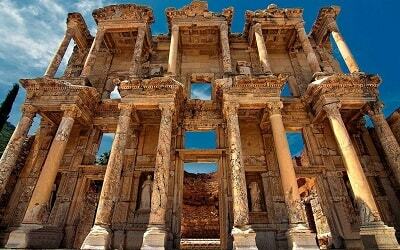 Reserve your spot on this awesome tour, and have a vacation you will never forget. 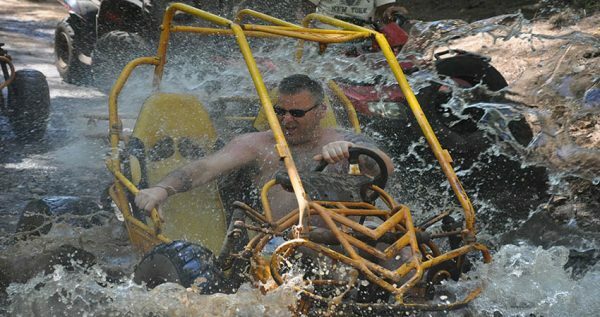 If you are an adventorus person then please also read Turunc Jeep Safari. 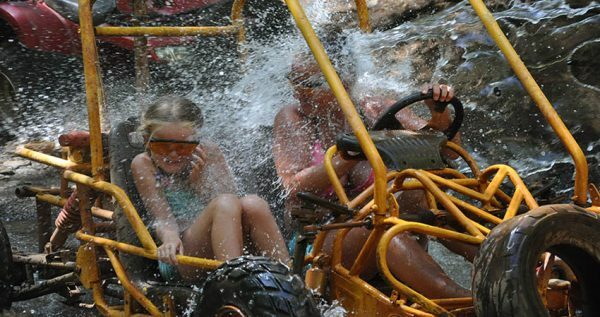 Turunc Buggy Safari Tour begins with a complementary pick up from your hotel in Turunc, followed by a short drive to the action venue located on the outskirts of the city. As Excursion Mania we organize this safari tour 2 times a day. You can pick your preferred time and we will adjust the transfer time accordingly. The first session starts at 11:30 am. Once we arrive, our instructors will welcome you and hold a short, but valuable briefing. You get familiar with your vehicles and learn some details about the upcoming tour. This briefing is the integral part of the tour as it will help you have the best experience possible. The briefing will be followed by a demo ride, which will also help you get more comfortable with your buggy and get a better sense of the venue. 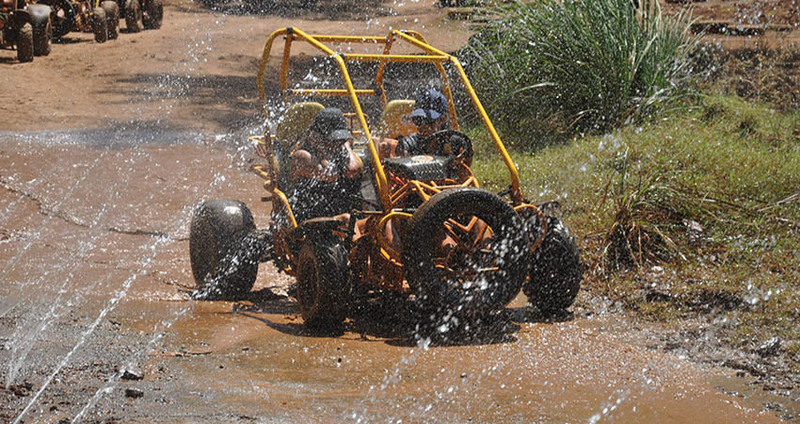 Our Buggy safari is set through pine woods, riverbeds, hilly areas and muddy terrains. 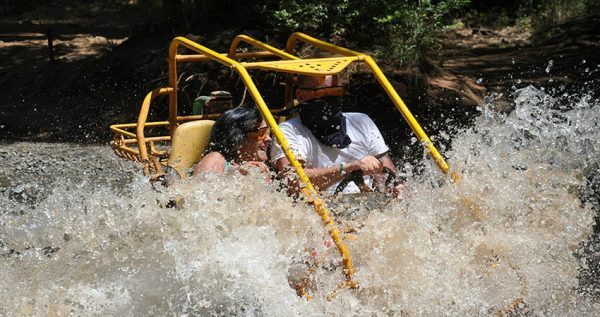 All of our vehicles are regularly maintained to provide you with a safe and fun ride through all of these terrains. The total driving time in this tour is 1 hour. 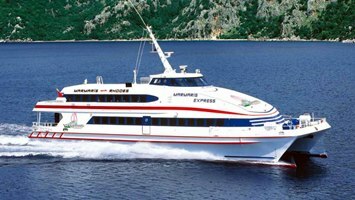 Our experienced drivers will be with you throughout the tour to make sure that you are safe and satisfied. After a delightful bumpy ride through dust, mud and water, you will be in need of a shower, and that is why we have arranged for our Buggy Safari tou to end at the area equipped with numerous showers. Here you can clean up and change your dirty clothes.